User Logs (hidden by default) contain the history of changes related to a selected project or task. 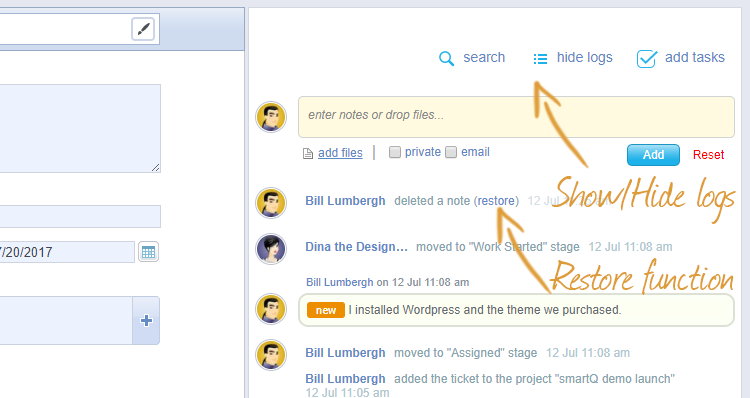 For the deleted items (for example, a deleted task or a note), there is a "restore" function. User Logs are available in Dashboard View (for logs across all projects), List View (for logs related to a specific project) and Ticket View (for logs related to a specific task).